If your worried about your teenager, and are having trouble talking to them about your concerns, a counselor can help. Your teen may be having issues with peers or their self image that are hard for them to talk to you about. 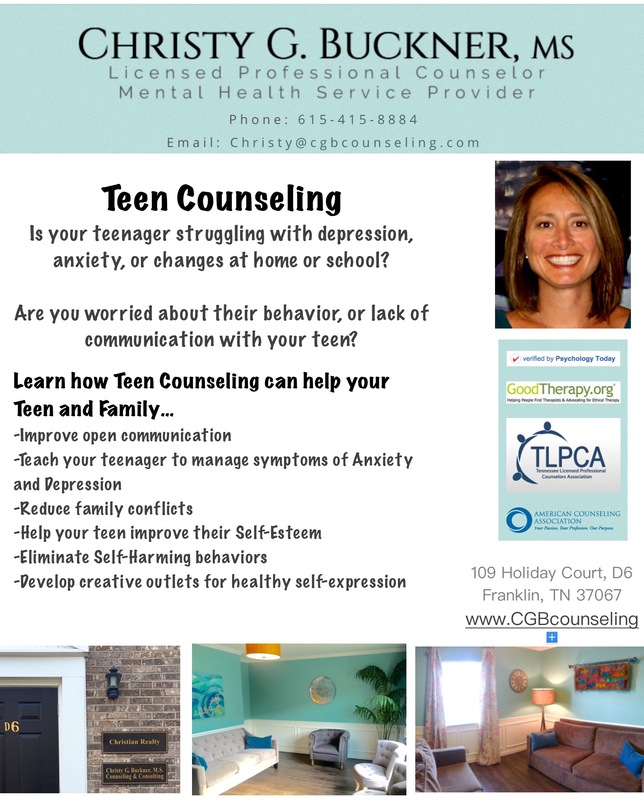 As a professional counselor, with years of experience working with troubled teens, I can create a safe and confidential space for your teen to open-up. Initially manageable teen problems, left unchecked, can eventually result in more damaging academic, social, physical and legal problems. If you have noticed a marked negative change in your teenager’s personality, grades, peer group, personal interests….there may be a problem. If your teenager shows signs of depression (examples: withdrawn, tearful, low energy, excessive sleeping, irritability, change in appetite, loss of interest in activities/people they used to enjoy, suicidal talk) please call me for a free phone consultation (615) 415-8884. Mental health problems, like all health problems, are best treated early. Brene Brown, PhD, LCSW is known for her poignant, funny, straight-shooting talks and books on shame, vulnerability and authenticity. Brown deduced years ago that when we talk about our shame, it loses power over us. Letting our gaurd down and sharing our story with someone, is an act of courage. Some of us have loved ones we can trust with our shameful secrets and painful memories. If you do, be grateful, the ability to share your whole self with another is a beautiful thing…and the basis of a deep genuine bond. I am grateful to have loving and supportive friends and family. But frankly, there were some events/memories over the years that I only felt safe sharing with my therapist. Revealing hidden parts of myself definitely took courage. When drug my shameful memories out into the light, they dimished and I was able to truly overcome them. Knowing that my therapist accepted and supported me at my most vulnerable, was not only a relief, but also powerfully healing. My friends and family might have listened and supported me without judgement too…but I may never have gotten up the courage to talk to them. Maybe there were conflicts of interest, or was no appropriate time? But I knew when I hired a therapist, I could talk to them confidentially. They would be objective and practiced at enduring people’s painful stories. The safe boundaries of the counseling relationship, made it easier for me to open up and heal. In fact, I have sought professional counseling briefly in nearly every decade of my life (ages 18, 26, 34, 43). My therapists were all skilled in their unique approach, but I believe the real healing occured just because I let another person see the whole, real, authentic me…and I survived without being rejected! They all listened without judgement; helped me see things from a new perspective; comforted me and offered encouragement. For me therapy was life-changing. 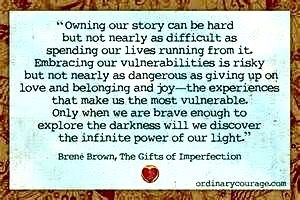 Not that my therapists changed my life, but that in allowing myself to be vulnerable, I changed my own. A good therapist simply creates a safe place for you to be vulnerable. I have created just such a space and I am here to listen without judgement. If you are ready to put shame and pain behind you, schedule an appointment today. Painting makes me happy! It’s something I enjoy, very likely because of the happy chemicals that are released from my limbic system when I paint. For example, you get a surge of dopamine when you try or anticipate something new. So I get a surge of dopamine when I see a scene I want to paint and start planning, composing and imagining the new piece. 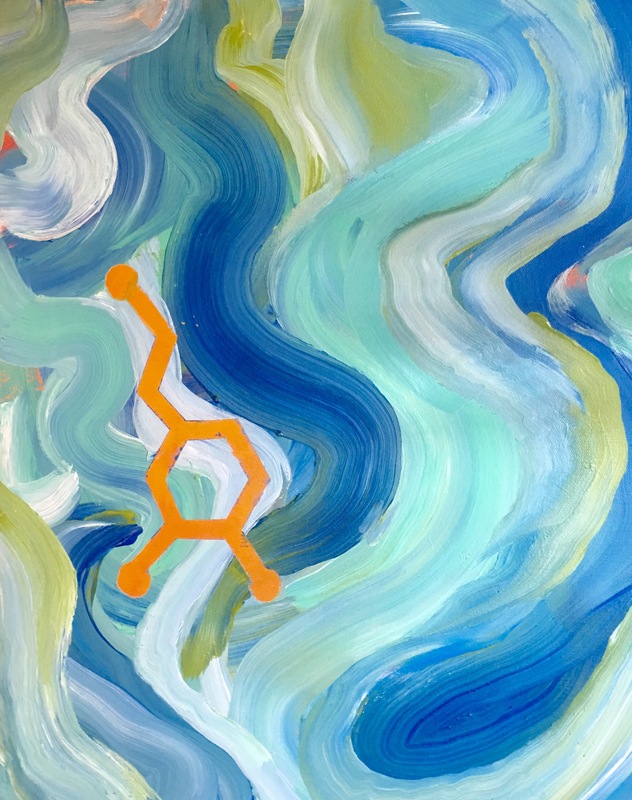 Serotonin surges when you experience success or pride in a job well done. 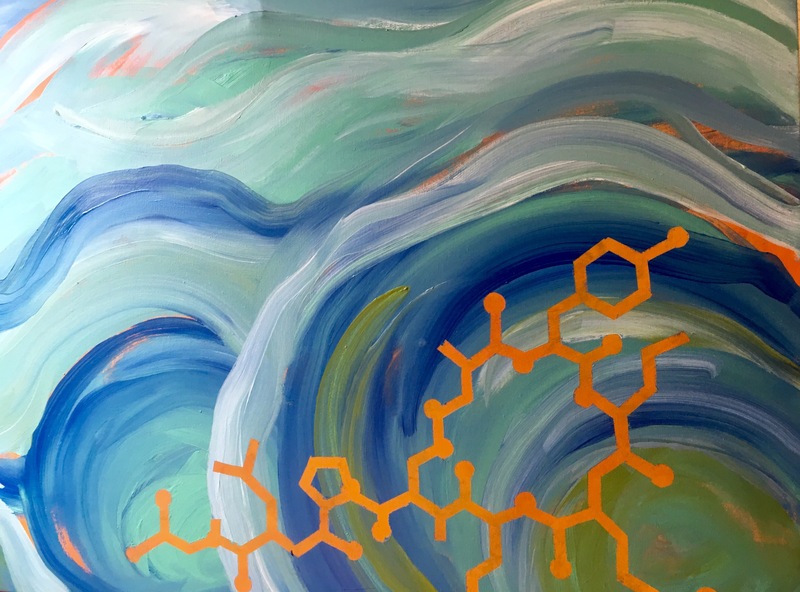 I’ve painted for long enough (decades, in fact) to get the occasional surge of seratonin when a piece turns out well. Last, oxytocin, the “bonding” or “love hormone” (Breuning, 2016) is released when you engage in physical or social affection. I enjoy completing meaningful paintings for people…like a beloved home or pet. Someone who asks me to paint their dog that just passed away, may hug me or shed tears of gratitude when I present the finished painting. That bonding process no doubt creates a surge in Oxytocin for me and them. 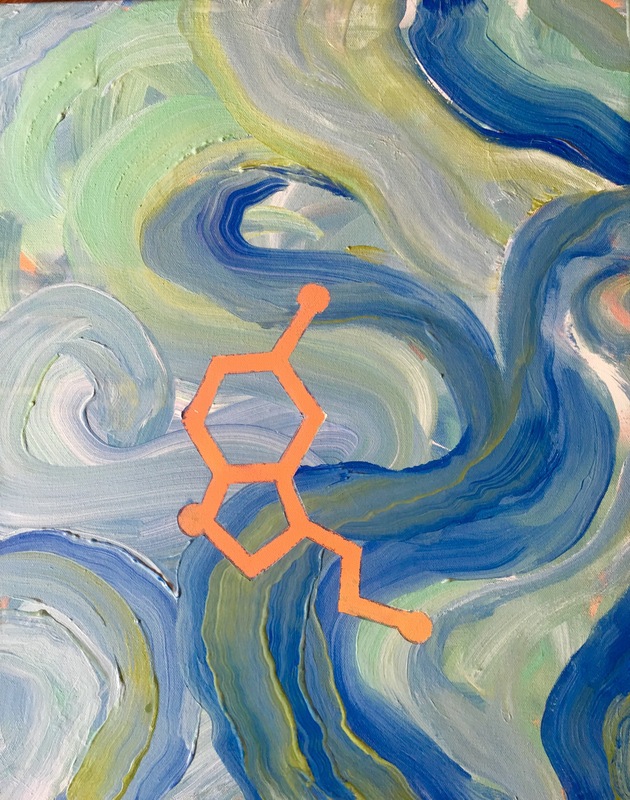 What do you do to get these happy chemicals flowing? If your feeling depressed, there are some scientifically-proven things you can do to boost these chemicals naturally. It would increase my own happiness chemicals to help you! For starters, if you haven’t tried counseling, we can get your dopamine flowing just by scheduling an appointment. 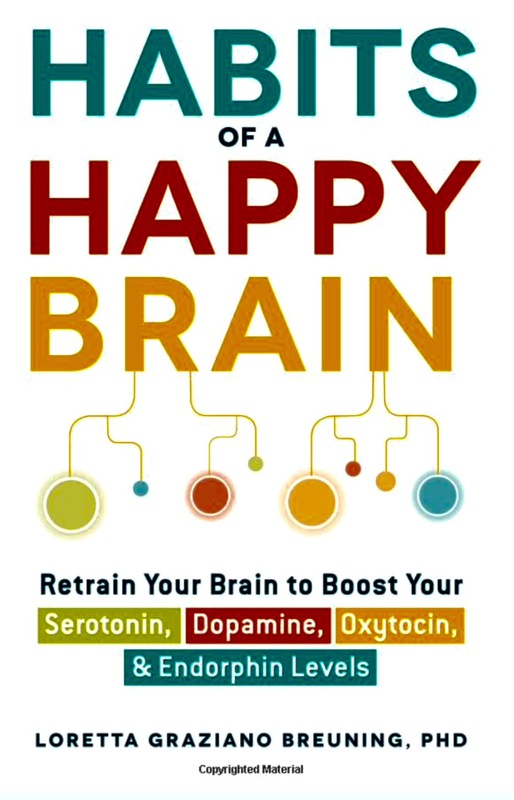 In the meantime, if you want to learn how to boost these happy chemicals on your own you can read Loretta Graziano Breuning’s (2016) book: Habits of a Happy Brain: Retrain Your Brain to Boost Your Seratonin, Dopamine, Oxytocin & Endorphin Levels . Taking flight! The doors to my new practice are open. 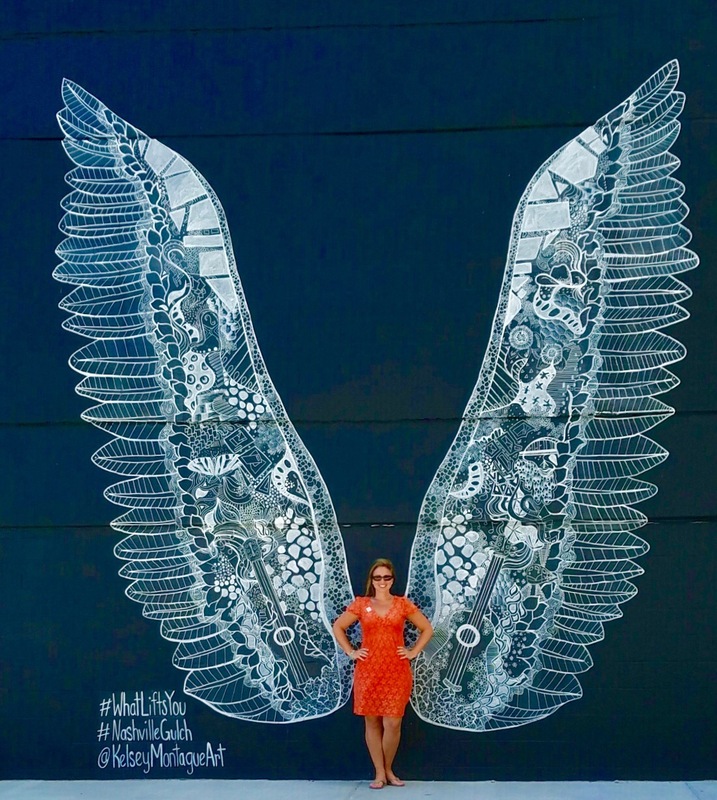 If you could give visual form to the personal power we all have, it might look like these magnificent wings! Our personal power can propel us toward goals, carry us over obstacles and lift us to a higher perspective. It has been two long years full of study, exams, applications, licensure and planning to get to this point. My new private practice as a Licensed Professional Counselor/ Mental Health Service Provider in the state of Tennessee is open. It truly feels like taking flight, as I launch into this new business. I have always loved being a therapist, but I feel more empowered and excited about what I have to offer at this point in my life. With great enthusiasm…I am now excepting clients!